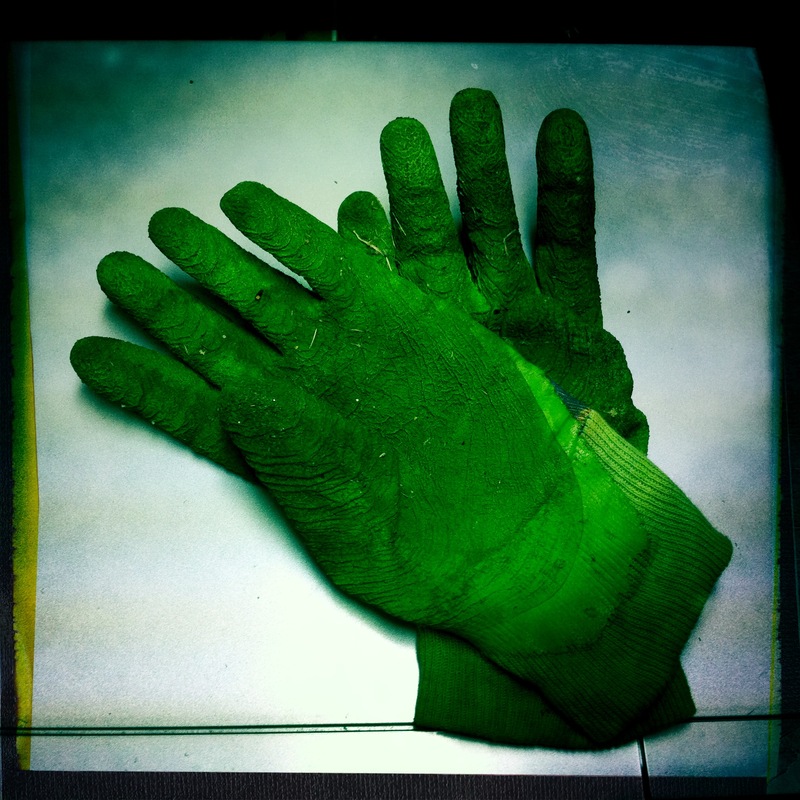 Green gardening gloves / put away, still dirt-covered / awaited Springtime. 22 Mar	This entry was published on 2012/03/22 at 8:19 am and is filed under Haiku, Nature, Spring. Bookmark the permalink. Follow any comments here with the RSS feed for this post. Older: Day lilies growing / look for rain, hoping winter / is not returning. Newer: They were beautiful / yellow blossoms, perfect stems / only one is left. What creativity!!! I would never have thought to take a photo of gardening gloves. Yours is absolutely wonderful, the position of the hands, the color, the wrinkled texture with the soil!! !